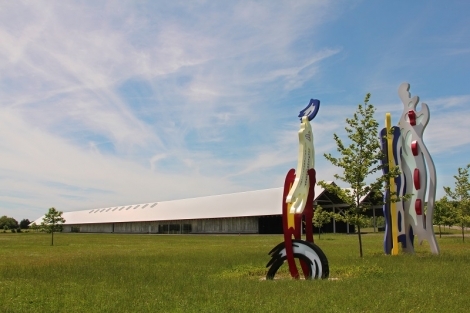 Roy Lichtenstein’s Tokyo Brushstroke I & II installed on the Bacon Family South Meadow of the Parrish Art Museum. Photo by Jeff Heatley. 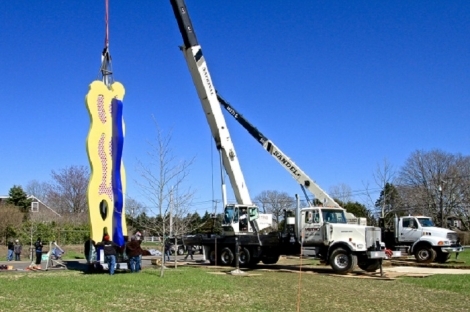 Roy Lichtenstein’s Tokyo Brushstroke I & IIinstalled on the Bacon Family South Meadow of the Parrish Art Museum. Photo by Catherine Bartlett. 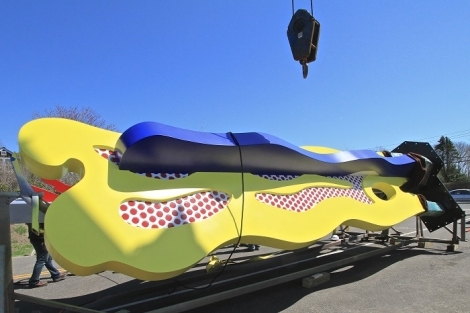 Roy Lichtenstein’s monumental sculpture, Tokyo Brushstroke I & II (1994) is now on view at the Parrish Art Museum. 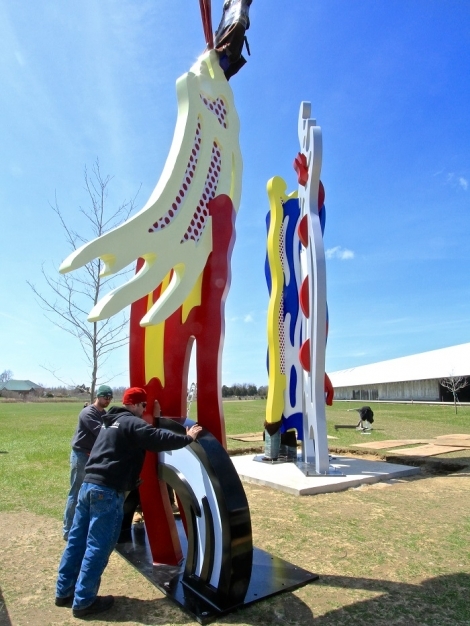 The first long-term, outdoor installation at the Parrish Art Museum’s new Herzog & de Meuron-designed building, the sculpture is placed outdoors on The Bacon Family South Meadow, west of the driveway entrance to the Museum, near Montauk Highway. 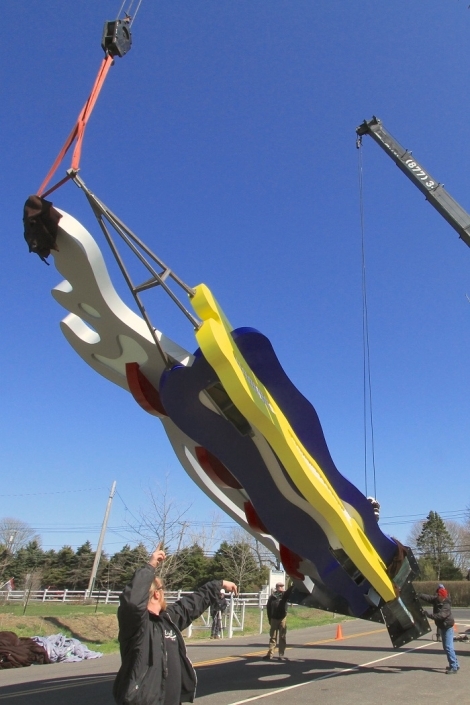 Tokyo Brushstroke I & II is a long-term loan by the Roy Lichtenstein Foundation, courtesy of Glenn and Amanda Fuhrman and the Fuhrman Family Foundation. Tokyo Brushstroke I & II is made of painted and fabricated aluminum—fabricated by Paul Amaral / Amaral Custom Fabrication in Rhode Island. Taller than the Parrish itself, Tokyo Brushstroke I stands 33 feet high (actual dimensions: 396 x 112 x 90 inches) and weighs over 12,000 pounds. 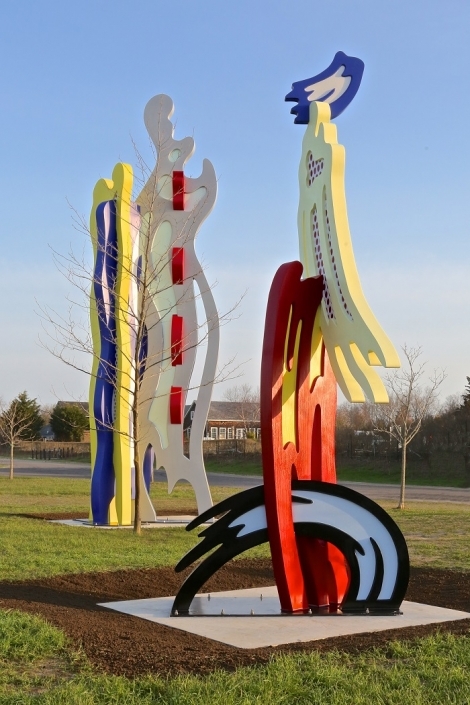 Tokyo Brushstroke II weighs approximately 5,000 pounds, stands 19 feet high (actual dimensions: 233 ¾ x 105 x 39 inches), and is situated closer to Montauk Highway. Tokyo Brushstroke I & II is part of a series of “brushstroke” sculptures constructed mainly in the 1990s. 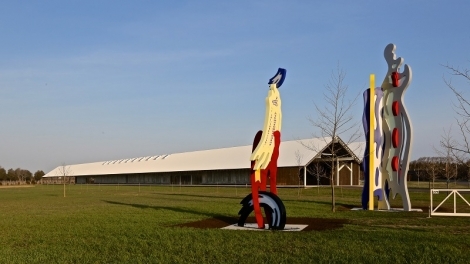 Similar “Brushstroke Groups” can be found at the Hirshhorn Museum and Sculpture Garden and Indianapolis Museum of Art, among others. Roy Lichtenstein (1923-1997) was an American Pop artist active in New York from the 1960s until his death in 1997. 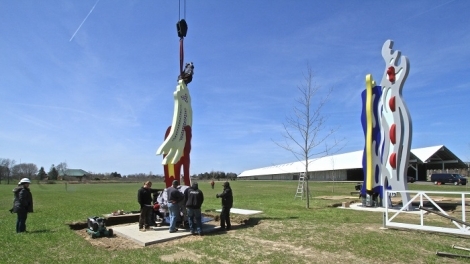 He is best known for his iconic large-scale paintings based on comic books. Lichtenstein continues to be one of the most influential and recognizable artists of the 20th century.